So sweet, right? 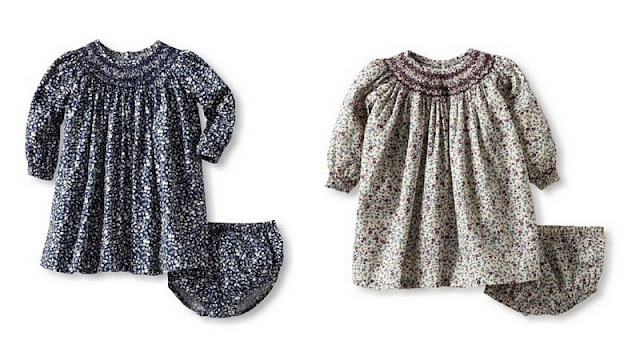 These really, really pricey baby dresses from Carolina Zapf are suddenly not to outrageous, thanks to MyHabit. Originally $180, they have been marked down to $39 with free shipping (that's 79% off!). The smocked Savannah dress is available in sizes ranging from 6 months to 3 years, but you will have to hurry to catch one of these! They are selling out as I am typing this. Find all of the Baby CZ styles from this sale here.